The DMW effect has become akin to an airborne virus albeit in major ways, good, heady enough to make the willpower of its carriers succumb to its own supreme power. This year alone, a number of artistes have been subject to their revolutionary effect including 2 Baba whose comeback track Amaka has been one of the songs of the year. 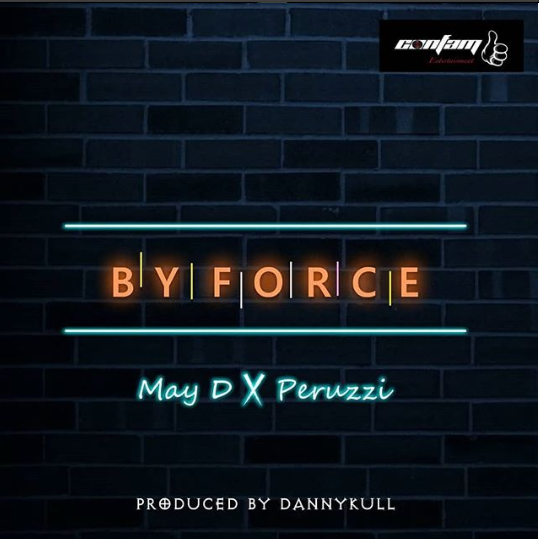 Few months ago, May D had his second encounter with them in a track which he enlisted Mayorkun for. This month, shortly after tying the knot, he returns with a collaborative effort titled By Force with Peruzzi; who has become famous for melodious contributions in joint efforts. The emotive mellow bass led track produced by Dannykull borders on a chaotic relationship which finds them stirring up negative feelings which contrary to the bounciness of the synthesized keys and harmonized hooks, evoke sad feelings. Although May D and Peruzzi take us through the motions, there is still an element of excitement in the song.